I have posted this in the past, but feeling a bit nostalgic tonight. 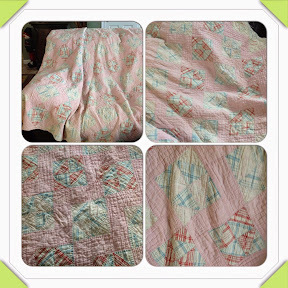 My Grandmother made this quilt for my Mom in the mid-to-late 1930s. She used feed sacks that my Mom picked out at the grain store. How cool is that?